The IoT company summarizes 50 of the most successful projects developed with its wireless sensor platform for smart cities, agriculture, water, logistics, parking, eHealth or environment industries. 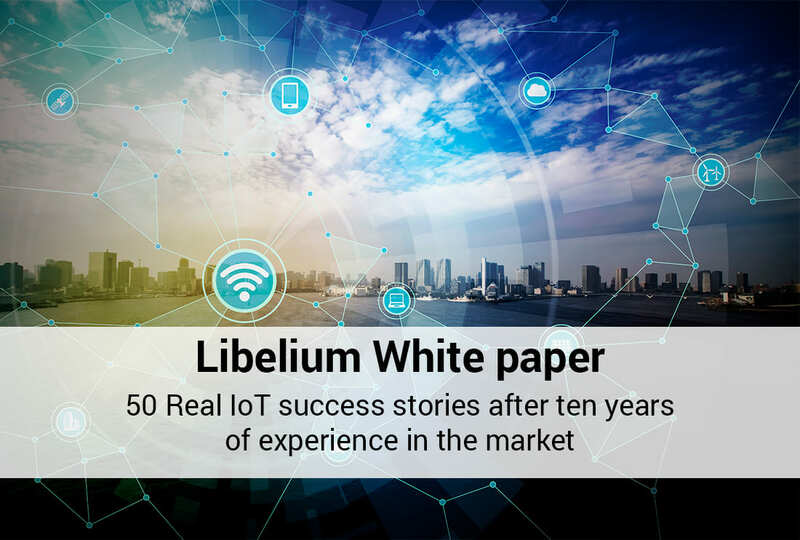 With the aim to unveil its horizontal approach to the IoT market, Libelium has launched a new white paper to present 50 real smart projects deployed in 120 countries all over the world. The IoT company has summarized its most successful and appealing stories, developed with Libelium technology and its partners ecosystem, for the main verticals of the market. The white paper includes real IoT projects for environment care, water management, precission agriculture, smart cities, parking management, smart building, smart factory, logistics, retail and eHealth. In fact, the company has featured some real success stories that are enhancing the competitiveness of many companies and are facing the most important challenges of the new milenium. For example, the precision farming solution developed in Australia to reduce losses in one of the main nurseries of the country; the Smart Water system to control water quality in Vietnamese fish farms; the Smart City mobile monitoring system to control air quality in Glasgow; or the eHealth project in Dominican Republic to prevent pre-eclampsia in pregnant women. Libelium’s experience and soundness, with real solutions developed in more than 120 countries with an ecosystem of more than 90 technological companies, have labeled it as one of the market leaders. 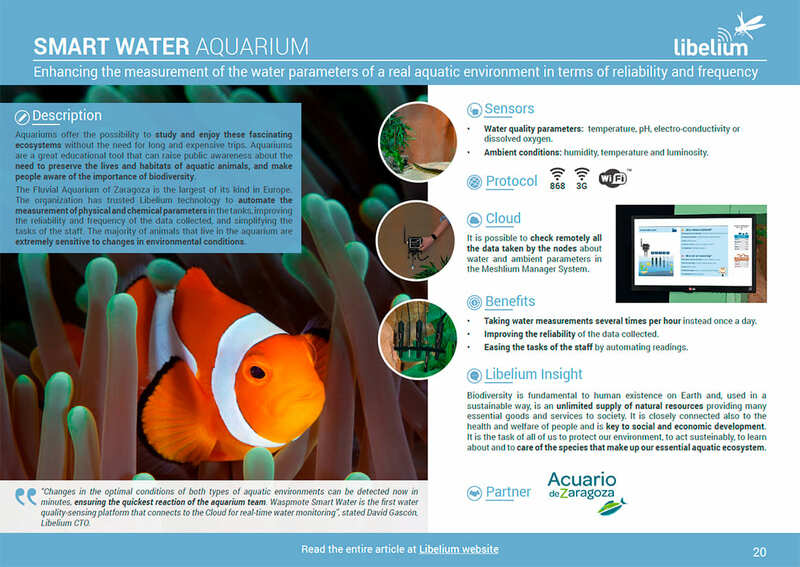 Alicia Asín, Libelium CEO, and David Gascón, Libelium CTO, analyse in the white paper the position of the company and the short-term trends and challenges that have arisen in the market. Libelium is recognized in the IoT market to offer the most horizontal and interoperable platform allowing system integrators, software companies and Cloud servers to make compatible its sensor wireless network to more than 40 cloud platforms. “Customers escape from those who try to retain them with vendor lock-in strategies. Transparency has become indispensable for a market that is constantly in motion”, states Alicia Asín, CEO of Libelium. “We want to show how interoperability and horizontality have helped us to become a world market leader. These 50 selected smart projects developed in different verticals prove that having a wide ecosystem is essential to grow in IoT market”, says Alicia Asín, Libelium CEO. 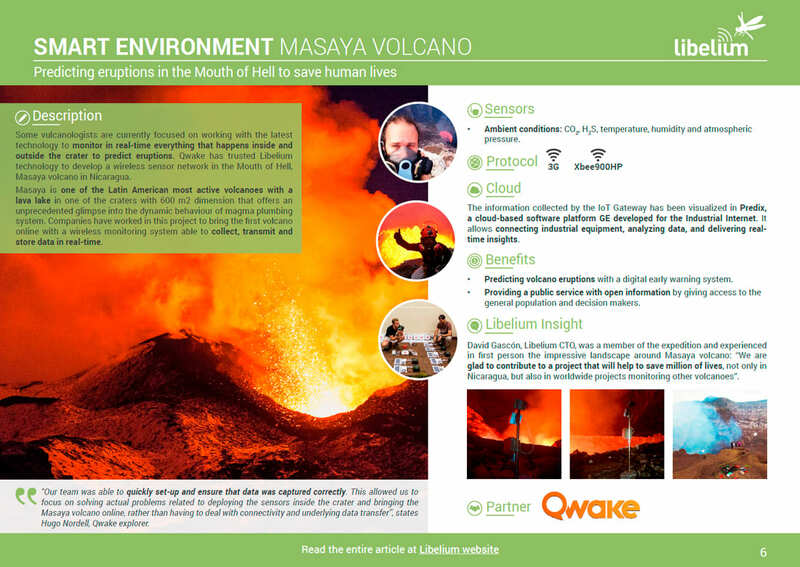 Through The IoT Marketplace, Libelium facilitates the development of IoT solutions to ease the IoT adoption integrating from sensors to connectivity providing also the access to any Cloud platform. With just one year of life, the one-stop click-and-buy-store offers 60 IoT kits, has involved 41 partners and provide solutions for 9 vertical markets: Cities, Buildings, Agriculture, Environment, Air Quality, Water, Parking, Factory and eHealth.